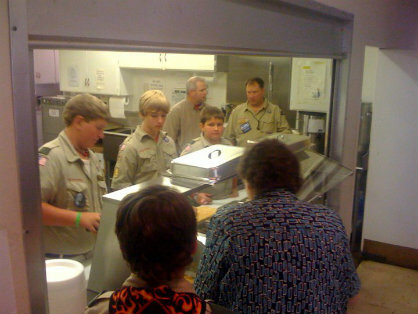 Troop 550 is open to all young men of Scout age throughout Marshall. For information on meeting times contact the parish office at 903-938-4246 or visit the Troop 550 webpage. Girls of all ages are welcome in Girls Scout Troop 7143. The troop includes Daisy's, Brownies, and Girl Scouts. The Troop Leader is Julie Jameson. Our Girl Scouts are involved in a number of community activities throughout Marshall and the surrounding area. Please visit the Troop 7142 Facebook page..